I received this book from Simon & Schuster, in exchange for an honest review. 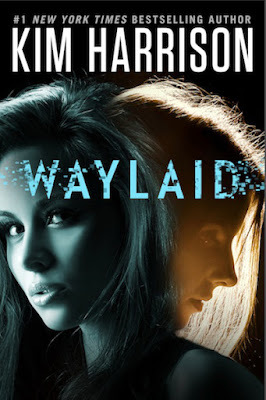 Summary: Worlds collide when Rachel Morgan of The Hollows meets Peri Reed of The Drafter in this exciting new short story from #1 New York Times bestselling author Kim Harrison. The magic of the Hollows runs full force into the technological sophistication of The Drafter when a device capable of carrying a city’s data stream pulls Rachel, the bounty hunter witch of the Hollows, between realities, marooning her in a world where the supernatural holds no sway. To get Rachel and Jenks home, Peri, the dangerous renegade of 2030, must decide what will chart her future: her blind trust in those who grant her power, or her intuition telling her to believe. Thoughts: I haven't read Peri Reed's story in The Drafter, but love the Rachel Morgan books. I was excited to see there was gonna be a crossover story. Excellent read. Peri & Rachel are quite different, but it was interesting to see them interact. I loved the story, a fast fun read. I would love to see Peri come visit Rachel in her world, that be be a trip. Reading this novella makes me want to know more about Peri and her world. Definitely a must read for fans of both series.